We create exclusive custom designed websites for all dental specialties including websites for oral and maxillofacial surgeons. Our modern and responsive websites are customized for a variety of practice sizes and different focuses, to build you a unique online presence. Your procedures, services, patient education, surgical instructions, and patient experience approach is unique to you, and should be positively reflected on your website. We design websites for oral and maxillofacial surgeons who provide services ranging from sedation and anaesthesia, dental implants, wisdom tooth removal or extraction, impacted teeth, treatment of sleep apnea and TMJ disorders, Oral Cancer, bone grafting procedures, facial pain or trauma, corrective jaw surgery, elective surgery, orthodontic surgery, amongst a few. Our website design services for oral and maxillofacial surgeons, help you keep a constant flow of new patients that book appointments with you with easier and quicker case acceptance. 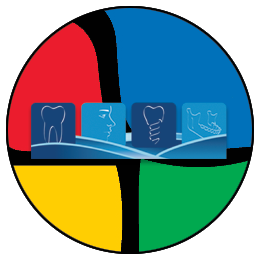 If you are looking for a unique and customized dental website to service any of these areas to attract new patients and sustain credibility with referring doctors, we can help by producing the results you are looking for. Match this with our patient education and communication services, and you are sure to increase case acceptance and productivity.